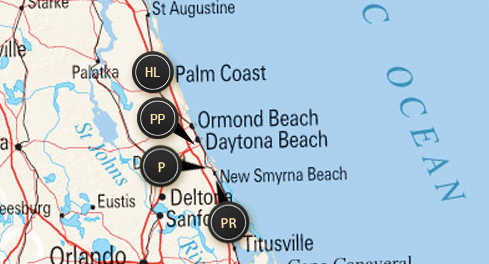 Since 1970, Paytas Homes has enjoyed an excellent reputation for New Homes Construction in some of the areas finest new communities including Daytona Beach, Port Orange, New Smyrna Beach and Palm Coast, FL. Our New Home Designs and Home Improvement concepts contain some of the latest features by listening to our customers and homeowners. By acting as New Home Designers as well as Builders, Developers and Real Estate Specialists allows Paytas Homes to coordinate the finest possible New Home Package at competitive pricing. The Volusia-Flagler area is the seventh-most popular place in the country to relocate, according to a new national report. “Places with the most growth might be attracting new residents thanks to a hot job market, affordable housing, a desirable location or some other factor,” the US News & World Report article stated. No. 7 in US News & World Report’s “Best Places to Retire” list. This was our sixth build in Florida and by far the best. All subcontractors were awesome and worked as if it was their own home. Very happy! My wife and I could not be more thrilled over our decision to buy this Paytas Home! Love it more everyday!